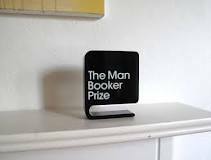 Those of you who have been following my blog during the last four years know how keenly interested I am in the Man Booker Prize competition. The announcement of the 2015 longlist is July 29th, sometime between noon and 5 pm, London Time. Then on September 25th, the elimination process results in the selection of the shortlist. Finally the winner is declared on October 13th. Not all longlisted books will be available on July 29th. Obviously more in the UK than in the States. If not already, consider becoming a follower of my blog, and get Man Booker updates and book reviews throughout the selection process. 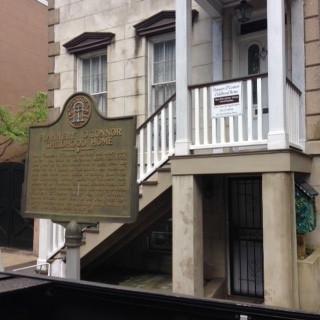 While recently visiting Savannah, Georgia, Anne and I paid a visit to the childhood home of the writer Flannery O’Connor. Nestled across the street from one of those beautiful Savannah squares, Mary Flannery O’Connor (she dropped the Mary for the literary public) lived in the house for the first thirteen years of her life, from 1925 through 1938). 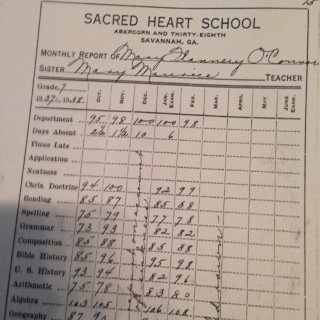 A relatively modest, yet comfortable house, it has been restored nicely and contains such items of interest as the author’s bed, her rocking horse, her pram, and a report card of hers from the local Catholic school she attended. After the visit, I decided to get reacquainted with O’Connor’s writings, as it has been decades since I had last read her. I started out with the ten short stories in the collection A Good Man Is Hard To Find. I was amazed how well she writes. She is already a fully mature writer, at age thirty, when this book was published in 1955. The stories are exquisitely crafted as she reveals the ominous world of the American Deep South in the aftermath of World War Two, stubbornly clinging to its old traditions, despite the stirring of change in the world around it. O’Connor somehow manages to interweave the themes of violence, gentility, religion and racism in a remarkable literary pastiche. O’Connor persevered with her writing despite suffering from the debilitating disease of lupus. She succumbed to the disease at age forty-nine in 1964. In a rare occurrence, and a distinct honor for a deceased writer, The Complete Stories of Flannery O’Connor was awarded the National Book Award for fiction in 1972.